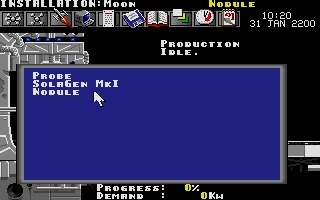 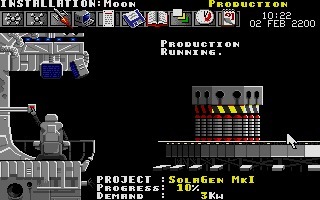 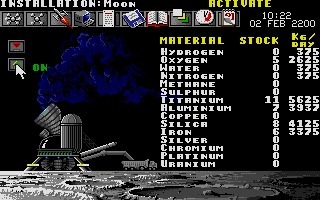 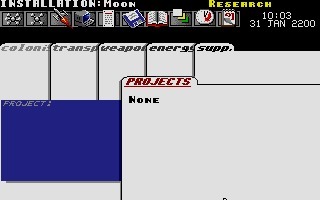 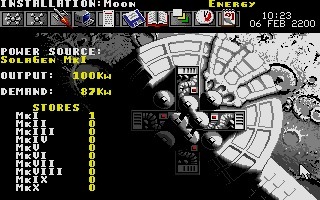 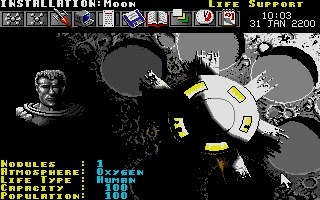 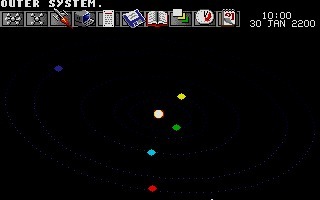 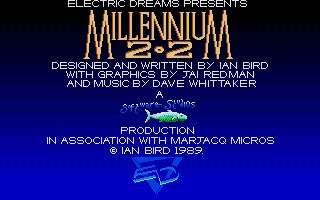 Millennium 2.2, also known as Millennium: Return to Earth, is a sci-fi strategy/resource management sim created by Ian Bird and released by Electric Dreams for Atari ST, Amiga and DOS in 1989. 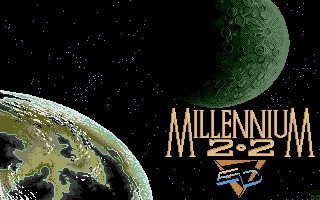 The game is the prequel to Deuteros: The Next Millennium. 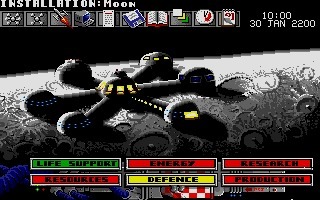 As the commander of the Moonbase, you will have to gather resources, explore the solar system, colonize planets and fight agaist the martians, trying to re-establish life on the planet Earth.